Learning is a social activity. That's why collaboration features so strongly as an underlying principle at our school. It's not because it's fun to work with others or 'hang out' with friends in class, it's for a scientific reason. From a neuroscience perspective, 'making learning stick' is more likely to happen when certain activity in the brain is enhanced - that supports memory and recall. The other useful way to use collaboration to increase capacity for learning is for learners to be teachers. Teaching an idea is a definite for deeper learning. That's why you may observe a child teaching a group a particular maths strategy, another modelling a language feature with a group pf peers. So, when we think of how natural it is for young children to 'play schools', they really are providing a fabulous collaborative environment for great learning. The brain will be working in mysterious ways! It's exciting to be in education in the times when we are learning a whole lot more about how the brain works and make the link with how to optimise conditions for deep learning. We are also wanting to break down the walls between learning and play..... you may have witnessed some very interesting 'contraptions' in the playground of late. I was chatting to a group of young ones the other day who had spent a few days constructing a roof out of layers of driftwood and flax over their playtimes. They said, "We want it stable and that's why we have pieces going one way and another and have tied it together with flax......." I heard maths, technology, science and learner attributes all tied together beautifully in a large flax bow! And do you know what? No playground 'issues' either! That's got to be a winner! Brilliant! Now...... to work on how we are going to store our 'bits and pieces'....... I think that will be a collaborative task! Have a lovely weekend and see you on Monday for Matariki Tree Planting and a Day of Appreciating Beauty and Excellence! Alfred, Billy, Lisa, Olive, Finn, Lillian, Molly and Sasha. Edie, Edward, Eleanor, Haare and Rylan. Two Extra Special Whole School Community Learning Experiences coming up soon! Take the opportunity to come to school, plant a native tree with your child/ren and spend some quality time sharing in their learning, and, if time permits, share some morning tea or lunch kai with them. When the days are at their shortest, we optimistically think about new beginnings. It is a time of celebrating being together, thinking about the Tupuna who have come before us and appreciating family. It is a time of giving. Over the last few years, we have done this as a Koha Aroha, a gift of love rather than a material thing. This year, we will continue this theme but also we are continuing to focus our attention on Tane te Wananga, the bringer of knowledge, or Tane Mahuta, the god of the forest. To enhance this theme, Whanau will be invited to the school; we will give each family a tree to plant on our hillside, contributing to the restoration of Tane’s Cloak. It is a different way of giving and something which we hope will connect children and families to our special place, Whetukairangi, for many, many years to come. In the past, Winter was also a time for Nga Toi or the Arts, and this year our Matariki celebration will coincide with a day in which we consciously seek an ‘Appreciation of Beauty and Excellence’. There will be groups of students working throughout the school on different Arts projects connected to Matariki, linked to the environmental theme. After planting we would love you to share with the wider Worser Bay Whanau in some learning time in the classroom. There will be a wide range of activities and learning experiences happening throughout the school. It is going to be amazing day! Ka Mau te Wehi; Grasp the Magic! Whetukairangi - Stargazers - This is the name of our unique Pa site known these days as Worser Bay School. Matariki - is the Māori name for the cluster of stars also known as the Pleiades. It rises in mid-winter – late May or early June. For many Māori, it heralds the start of a new year. Matariki literally means the 'eyes of god' (mata ariki) or 'little eyes' (mata riki). DETAILS - we are aiming for an element of smooth operation, we will see! There will be 2 main opportunities for families to plant on our hillside on Monday 26 June. For those of you who are more flexible, feel free to pop in anytime during the day - this will work too, to avoid bottlenecks! Students will be working in whanau groups which means your children will be working together in the same space. There will be plenty of signage up in the staffroom windows and classrooms so that you know where to collect your children. Just look for your surname. Parents will need to sign their children in and out of the workshop. This is so that everyone can be accounted for in the event of an emergency. Everyone is invited to come and share kai at morning tea or lunch time with your child/ren. Families will need to bring their own kai. Yes it’s BYO! What happens if I can’t make it to plant with my child/ren? Don’t worry if you are not able to make it. No-one will miss out. Let your base group teacher know and we can buddy them up with a friend. How will we know where to plant ? There will be a map and some helpers down the hillside to help you. Do we need planting and gardening equipment? No - it will all be provided. What happens if it is wet or windy? Bring your gumboots and a raincoat as we will be planting rain, hail or shine. Will the children be allowed down the hillside? No - not without adult supervision at all times. You will be able to sit with your child/ren and share morning tea or lunch. Then you are welcome to stay and ‘hang out’ with your child during these times. It will be business as usual! We will be basing our arts workshops around Matariki and appreciation of nature and our environment. We will be exploring and using natural resources from in and around our place. Our collaborative artworks will be displayed the following week as part of our Arts Celebration. Who shall I contact if I can stay and help or run an arts workshop for a small group? Contact your base group teacher. They will assign you to the group your child/ren are in. These last few weeks, there has been lots of “playing school” going on in which the kids have been running their own small groups. It’s been such fun for me to watch and hear how they “teach” each other. We’re building cities, houses, barns, forts and more. Watch out for Autahi, the next generation of engineers and architects! This week we read some stories about Matariki. We used our Creativity to make up some legends about why the Matariki stars shine in the sky. Have a read on our Blog. Displayed around our room we have some beautiful writing and pictures showing the super powers we would have as superheroes. Our super powers are based on our character strengths. Come and read about the "keep trying" girl who had to use perseverance, the "helper" who used kindness and the "powerful learner" who got nervous and had to use bravery. We have been having a wonderful time collaborating, being creative and using teamwork to move and build with the driftwood that we now have in the playground. We have been thinking, connecting, being problem solvers and negotiating to make decisions about how and where to build our tree huts and forts. Have a look at some more pictures on our Blog. Over the last few weeks, you will have all attended or heard about your child’s Progress Meeting. They’ve been a great opportunity to talk with your child’s base group teacher, discuss their progress and ask all those questions that you have. Our teachers put in a huge effort behind the scenes to make these Progress Meetings happen and prepare reports. Once again, we would like to thank the teachers for all their efforts – great work team!! The 2nd Annual School Ceilidh was held last Saturday 17 June. Over 130 people attended and fun was had by all with dancing continuing late into the evening. There was great representation from, and beyond, the school community, with parents, grandparents, past-parents and prospective parents (and even a 6 month old baby!) all in attendance. We raised a total of $2347. A big thanks to Jane MacDonald, Miranda Struthers, Shaz Niven, Rebecca Wedge and all the others involved in organizing the night. On Monday evening, Dana Carter attended the Board Meeting to discuss the EnviroSchools initiative. Not only is Dana a parent at school, she is also the Wellington region coordinator for Enviroschools. Enviroschools’ aim is to foster a generation of people who instinctively think and act sustainably. What struck the Board is that we already have a number of initiatives under way and these would sit nicely under the framework that Enviroschools provides. Keep an eye out for more information about opportunities to be involved in this in the months ahead. The Board would like to reiterate our thanks for all the Parent Volunteers out there. From those on the Sausage Sizzle, to the Pizza Lunches, to the Disco, Ceilidh, the Fair and all the other activities that take place to help raise funds for the school. We know that people devote a lot of time to these activities and we appreciate all of your efforts. Finally, we look forward to seeing you at the Matariki Festival Day next Monday 26 June and at the Arts Celebration 5-7pm on Tuesday 4 July or Wednesday 5 July. More details are available elsewhere in the newsletter and on the school website, and we’d love to see you there! We are still having issues with parents dropping their children off on the double yellow lines at the bottom of the Worser Bay School driveway. Please do not use the school driveway as a drop off zone. We have just had another report of a near miss on the crossing due to a car being parked there. The yellow lines are there for a reason! Loose Parts, Spare Parts, Parts Aplenty! Check out the Video too. Now that we have an array of bits and bobs to get creative with in the playground we are needing to urgently come up with a storage solution! Worser Bay School and storage tend to be antonyms! 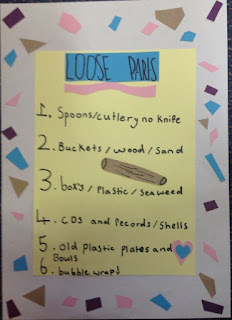 Please have a look at this Short Video for inspiration and if you would be keen to get involved, especially helping brainstorm storage solutions, please contact the PALs via Nicola: nstevenson@worserbay.school.nz. Thoughts so far include - a number of large flexi tubs, a purpose-built shed, small container???? 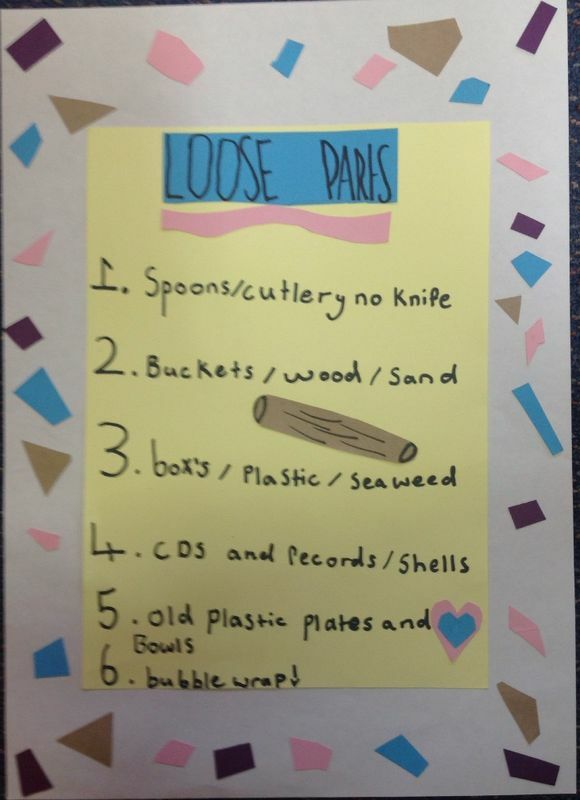 Please help us to collect loose parts for us to play with at break times. It will give us a variety of things to do and play with. Please do not bring any sharp things and no nails pointing out of wood. Anyway, we will be sorting through the stuff. There are examples of things on our poster. See the video above to see what could happen! Three years ago Worser Bay School was the first school in Wellington to implement Wrap it Up’s online payment system and we have found it extremely beneficial for both the school and the community. We really appreciate our school community using Wrap it Up. The transition to Kindo will take place towards the end of this term. We will keep you updated on details regarding registration, etc, via the Newsletter and our website. If you have any questions, please don’t hesitate to ask. If you wish to have a sneak peek at the Kindo website, go to www.kindo.co.nz. We rely on our parent community to help with our fundraising efforts, and we would love to get some more Parent Helpers on board to help with our Pizza Lunches. If you are able to help, please email Jackie Ross at jacquelineross@paradise.net.nz. We are excited about connecting Maths groups from Raroa Intermediate and Worser Bay. Read our introductions on our blog. This week we have a new book released in the Library written by Year 6 student, Caitlyn Vlug. It is called "Warriors Dawn". Check out this sneak peak on the Blog! ALSO big encouragement for any student who is writing a book, to complete it so it can go in the Library, just like Caitlyn’s. We went to the Kilbirnie pool on Tuesday for our swimming sports. Lots of fun was had by all and our more competitive swimmers were very proud of their efforts. These school holidays KidzStuff Theatre for Childern are presenting The Little Duckling, written by Guy Langford and directed by Shannon Friday. Times: Weekdays 10am & 11:30am, Saturdays 10am, no show Sundays.